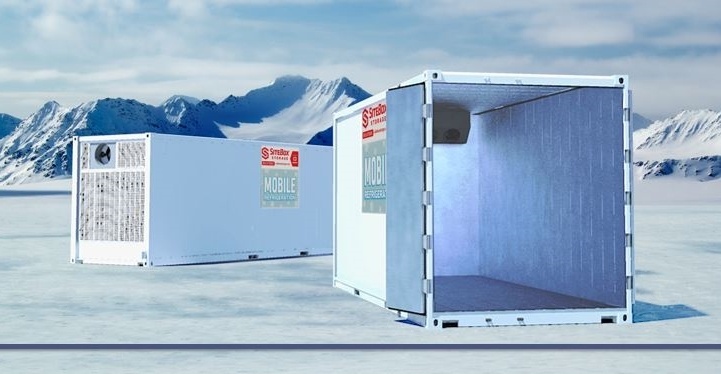 Electric-powered walk-in coolers and freezers have a lower operational cost than diesel-fueled units and create less noise and air pollution. Read more about temperature ranges in this study from the Van Horne Institute about reefers in North American cold chain logistics. Top airflow reefers tend to handle traffic better due to the elimination of floor channels. The free space at the ceiling provides the “chute” for delivering and distributing conditioned air. A built-in dedicated space is efficient and functional. But your company needs may change as you grow or your customer base expands. Additionally, your space requirements may have seasonal fluctuations. Add-on, temporary units can keep your building and budget right-sized. Short Term Leasing allows the flexibility to right-size your business. As a bonus, most maintenance cost falls on the owner, not the user. A Purchase may be an advantage for heavy users and those with facilities maintenance capacity. Lease-To-Own helps your annual cash flow while creating long-term value.